Buying a new vehicle involves a fair deal of research and you need a dealership you can trust to provide you with the expertise needed to make the right decision. At Lallo Mazda, we offer you just that. When it comes to financing, we can help you make the difficult decisions or provide you with the info you need to get the right financing plan for your new Mazda. At Lallo Mazda in Brantford, we provide you with the information you need to decide between financing or leasing. We can help you make a difficult decision or provide you with the information you need to get the best financial plan for your new Mazda vehicle. At Lallo Mazda in Brantford, we provide you with the information you need to decide between financing or leasing. How many kilometres do I drive each year? Will I be using my car for business or for work? How long do I plan on keeping my car? The answers to these questions will go a long way in determining which financing solution is right for you. To learn more or to book an appointment with one of our financing experts, contact us today at Lallo Mazda. 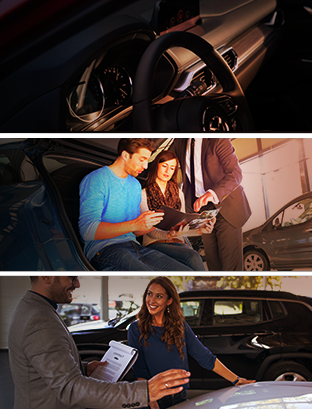 At Lallo Mazda, we work hard so that our clients are satisfied with our products and services. We work with you and your family to get you in the best Mazda vehicle or to take great care of your Mazda model after purchase.